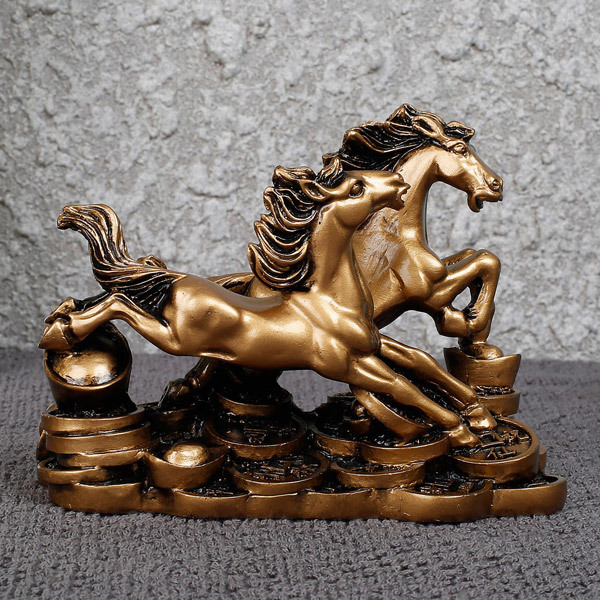 The Two Running Horses signify the arrival of good luck and wealth. It attracts accelerated prosperity and victory. To boost fame or reputation luck, place the Horses in the South corner of your office or home. It is best to place the horse in the living room opposed to private areas like the bedroom.